Start your very own hosting business today with a strong, trusted partner, PEHosting.com. We understand that your business is our business and we go above and beyond for our resellers. Plans we offer will allow you to make real money from the start. Compared to other hosting companies, we give you the ability to host a large number of domains at a much affordable price. You are in full control of your business! Below are the reseller plans that we offer. If you have any questions, please contact us. Start your very own web hosting business today with this most affordable plan. Everything you need in one simple plan! Save $5/month for a very limited time! Kick start your growth with the right plan and a partner that understands you. With a lot of room to grow, start making more profits while we take everything running smoothly! This is the prefect plan for a professional that needs more space and bandwidth at an affordable price. The most popular plan among our resellers! Make no compromises with our ultimate plan. Real disk space and bandwidth dedicated to just you! Save $20/month for a very limited time! Our customized powerful CPanel control panel puts your customers in the driver's seat. Easily install scripts, setup email accounts, manage domains and much more with just a few clicks. 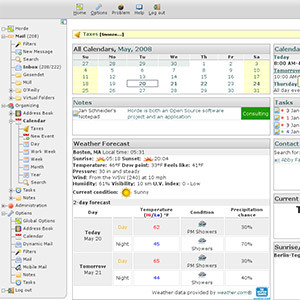 Click here to demo the control panel (note: demo has certain features disabled). Deploy, update and auto-backup over 400 web applications in minutes. 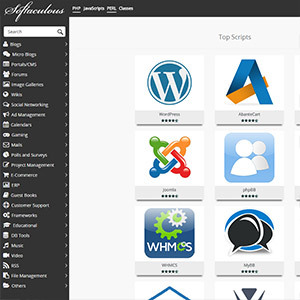 Install applications such as WordPress, Drupal, Joomla, Magento, ZenCart, Wiki, Forums, just to name a few. Click here to demo it! 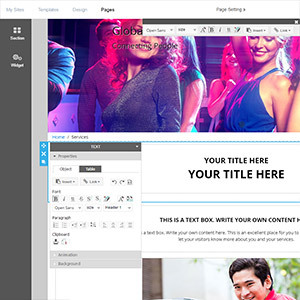 Your users can take advantage of our easy to use Website builder to create amazing sites they will love! Use simple drag and drop features to build mobile and search engine optimized sites in minutes. All of our email accounts are spam filtered with settings that you can tweak according to your needs. Use our web email client or setup sync with your phone to stay on top of your emails around the clock. If not already included with your package, you may buy options and add-ons at these rates.